The Ex Lottery Hits Top 100 in Free Amazon Kindle Bestsellers and Top 10 in Contemporary Romance! The Ex Lottery Hits Top 100 in Free Contemporary Romance on Amazon! Free on Kindle November 13-16th! Do you have objects around your house that paint a story in your head? I ran across these old bowls in my house—bowls with a story. My husband and I met as undergrads in North Carolina. We decided to go to Disney for our first spring break together. Now, Paul had been telling me since the first week we met that I would marry him if he asked, but he wasn’t going to ask. I always told him I’d say no—arrogant, good-looking fella. Off we go to Disney about nine months after we met and what do we do—we pick out dishes together and buy them because we both love them. While in the Wonderful World of Disney, I’m still saying I won’t marry him and he’s still saying I would if he asked but he’s not asking. So why did we buy dishes together? Well, we both thought they were perfect and maybe, one day, we might end up together and it’d be a shame not to have these perfect dishes. We married thirteen months after we first met, and we’ve been married thirty-six years. Welcome to my writing corner. I just added a new sign for inspiration. Actually, I bought this sign to use as decoration for my daughter’s wedding. It was a hit and now it is the perfect decoration for my writer’s corner. I’m hoping she doesn’t read this and swipe it off my wall for her own home décor. As I write my romance stories, I often look out the open window in front of my desk. Now when I glance up to rest my eyes, this sign reminds me why I write. Everyone deserves a Happily Ever After. It also pushes me forward when I get stuck in the middle. I think most authors get stuck in the middle. So I’ll read this sign to remind myself what is waiting for my characters if I’ll just pull them out of the middle muck. I’m seriously considering buying a second sign just like this one to hang on my porch—my other office. I follow several romance writers on Facebook author pages who take time out of their busy writing days to say hi to the readers or answer a quick question. If you have any doubt that romance novel readers love the stories and characters, you should read the recent back-and-forth passionate comments readers posted on the JD Robb (one of Nora Roberts’ pseudonyms) Facebook page when one reader suggested Nora give her characters Eve and Roarke a baby. (See some commentary at fallintothestory.com.) Nora has not given this fictitious couple a baby because… quite frankly, it doesn’t matter why. It’s her story. Her writing. And it is a great story or the readers wouldn’t be so involved in the characters’ life decisions. To me, Nora is the best romance writer in the business. Her books are my go-to choice. And there are plenty of her characters that have babies if that’s what you want to read. Nora’s books make me happy. Had a bad day, read a Nora. Head spinning with worries, read a Nora. Work week from hell, read a Nora and add a glass of wine. There is a Nora for every mood, and I am always amazed at her unending flow of stories and characters and happily-ever-afters. Don’t misunderstand me, I read lots of books by many authors. But Nora remains my favorite. This amazingly prolific writer has so many readers, she doesn’t need to promote her books or take time to answer questions. The books advertise themselves. All the book needs is her name on the cover and I’ll buy it. I often buy the paperback and the ebook. I, for one, am happy she takes the time to address readers’ concerns, but I’m glad the majority of her time is spent creating new worlds so I can escape my next bad day. Let me add that Nora Roberts is as kind to writers as to readers. I met her at a Romance Writers’ convention, and in our twenty-second encounter, she congratulated me on my novel, wished me well, and signed a book for my daughter. I’m declaring today national Buy-A-Winning-Lottery Ticket day. I’m gonna use the lucky numbers from The Ex Lottery. Who knows what I’ll win. I only buy lottery tickets when numbers grow so large that statistically someone should win. Of course, I usually win zero dollars, but occasionally I win enough to buy another lottery ticket. But I am okay donating a dollar to the education system from time to time. I’d like to think that if I used Tory’s lottery’s numbers, I might win. So today, I’ll give it a go. After all, her winning lottery ticket brought her much more than money. Tory’s eyes popped open. The rough voice was just above a whisper, and the sound was like a caress across her bare neck. Her heart pounded against her chest. She’d forgotten about the man sitting across the aisle. Okay, if she were perfectly honest, she’d been trying to forget about the man across the aisle. To forget that his shoulders were so broad that they pressed against the edges of his first-class seat. That his black bangs were just a bit too long, and the curls dipped down to catch on incredibly long eyelashes, making her think of Cal. So go ahead, donate a dollar to the education system and maybe you will buy the winning lottery ticket and an adventure. The free promo weekend for The Ex Lottery was a hit. Thanks to all the new readers. Hope you enjoy the romance. And the virtual trip to Ireland. Please drop me a review on Amazon if you happen to journey back to order your next book. I took most of the weekend off to read and walk the Lowcountry beaches with my husband. It was a bit cold and foggy, but the sun came out Sunday afternoon. Yesterday’s walk did make me think of the castle ruins scattered across Ireland. Tory, the main character in the novel, loves castles. Standing at the edge of the seashore yesterday, I could see another tiny island. No one lives on that island now, but my husband and I could see an abandoned house. The house is slowly falling apart and its feet are made of pilings which are stuck firmly in the sea. The waves pound the house, but it still stands just like all the majestic ruins that are scattered across Ireland. However, this coastal ruin will slowly rot since it is made of wood, not stone. Still just like the old Irish castles, this house was a home and it makes me wonder what stories lurk within its walls. Maybe one day I’ll write a story about that house, but for now I think I prefer the majestic castles of Ireland—preferably ones that aren’t being washed away to sea. Thanks again for ordering my book. It has been an amazing two days! Readers continue to download THE EX LOTTERY as part of a four-day free Kindle promotion on Amazon. Thank you to all the romance readers who selected my book as their next read. I hope it is the perfect book for your weekend entertainment. This afternoon, THE EX LOTTERY moved up in the Amazon Bestseller Rankings to place #58 in free books in the Amazon Kindle Store, #8 in Contemporary Romance, and #20 in Contemporary. The promotion continues through Sunday so I hope you’ll tell your friends. Download your copy here! Thanks to all the readers who have downloaded my book this morning. The Ex Lottery is now in the top 100 of Amazon free Bestsellers for Contemporary Romance. If you have not gotten your copy yet you can grab it by clicking on the link below! The Ex Lottery—Free on Kindle—November 13-16th. 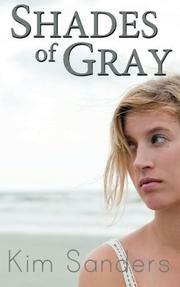 Today, I’m joining Donnell Bell at GetLostInAStory.blogspot.com to answer a few questions about my latest novel. Come join the conversation. And while you’re there, answer a question for me. I’m asking readers this: What man/actor would you like to meet in an Irish bar and how would you convince him to remove his shirt? Can’t wait to hear from you. Download Your Free Copy of The Ex Lottery Here! He smiled, a slow upward grin, and rose to claim her before the six men who had swiveled on their bar stools could beat him to it. “Leanan sidhe,” Shane exhaled under his breath as he approached her. Tory hesitated, but Shane had already claimed her bag and was walking toward a dark table nestled in the back of the pub. She took in her surroundings, her eyes drawn to the massive, intricately carved bar. The wood was rich and dark, but the back wall was all mirrors. It reflected the endless rows of pure, clear glasses. The glass sparkled, spinning off images of transparent blue fairies flying in and out of a translucent sea. She took one step forward, but stopped when a voice from the right shouted at her. “Shut your gob, Neil. The girl’s not after finding a lad in his pints,” the bartender stated. “Ahhh, B’Jaysis, and American too! Listen to that lovely drawl,” Neil sighed, and the room erupted in mirth and bawdy comments. The upcoming Thanksgiving holidays have put me in a giving mood. 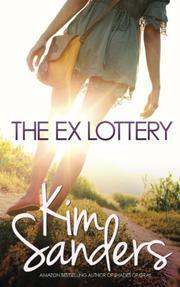 For four days, you can download the Kindle version of The Ex Lottery for free! Download your copy here! Spread the word! Don’t have a Kindle? You can download the Kindle Reading App on most computers, tablets and smartphones. Download the Kindle Reading App Here! You are just a click away from a light-hearted romance set in Ireland! Sometimes a good romance novel just needs a great Jezebel to liven up the storyline. Meet Jezebel, my neighbor. Oh, and her dark-haired lover—that’s Pepé Le Pew.